Lorin Ashton, aka Bassnectar, is putting the finishing touches on his latest LP entitled The Other Side. The San Francisco DJ is best known for his wild and psychedelic shows that really puts a different spin on the tracks your use to hearing on the CD. 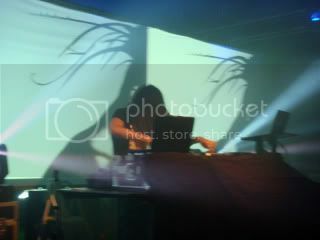 Bassnectar’s long, black hair is thrown all around as if you were at a Metallica concert; however, his groove is not to distorted guitars, but rather hard beats and a plethora of samples. So when he comes down to Austin again in October for the ACL Fest, then I would strongly advise that you leave his timeslot open. You will not regret it. Today’s catch, “Art of Revolution”, is the first single off the new album, which should be out before his Austin appearance. Check out a clip of the song below. Enjoy. So LCD Soundsystem has given us a little teaser before the release of their 3rd studio album due later this year. 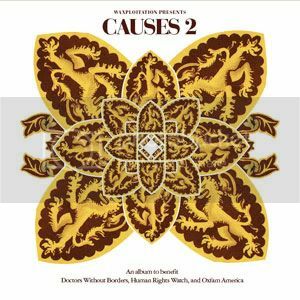 Causes 2 is the name of the Waxploitation compilation CD that a handful of musicians (including Gnarls Barkley, Diplo, Mum, Federico Aubele, and My Morning Jacket), which is benefiting the conflict in Dafur. 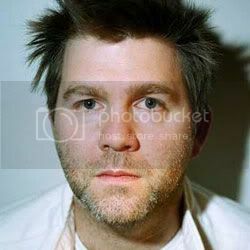 James Murphy, front man for LCD Soundsystem, has grown his empire of DFA Records to one of the finest labels right now (LCD, The Juan MacLean, Hercules and Love Affair), and it’s nice to see him doing an exclusive track for this cause. Today’s catch is called “Starry Eyes Original”, and you can listen to a short clip of it below. Enjoy! So the Las Vegas gods of electronic music are back at again with another full length album that is set to drop on May 12. Divided by Night will be the fourth full length LP, and the best part is that the majority of the tracks will include collaborations with some of the hottest up and coming artists, and some outstanding veterans as well. Guest performers will include Meiko, Jason Lytle (of Grandaddy), Peter Hook (of New Order), and the great Matisyahu who happens to lend his vocal talents on today’s catch. “Drown in the Now” is the first single to come out, which features chunky electro beats mixed with Matisyahu’s reggae-style singing. 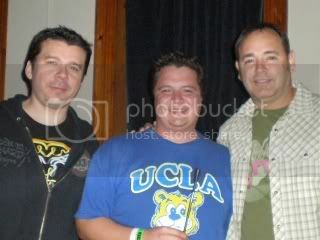 The Crystal Method will also be hitting Austin on May 19th at La Zona Rosa, so be sure not to miss them. Check out the fantastic video for “Drown in the Now” down below. Enjoy! Spring tours are in full effect, which means a truly intimidating amount of nearly constant concert announcements… luckily, you have us to steer you towards some of the more choice options. 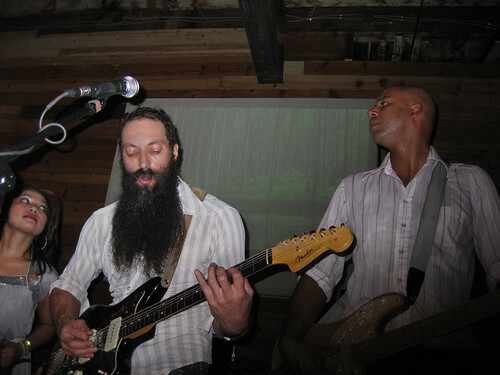 Tonight, you should definitely check out Dengue Fever at the Mohawk. 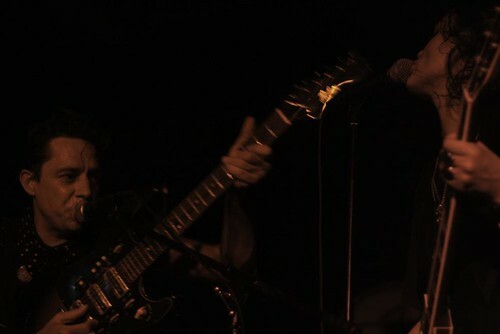 We first caught them during Fun Fun Fun Fest, when their Cambodian-influenced indie rocked our faces off. The Black and White Years are playing a show indoors at Stubbs, if you haven’t heard. It’s likely to sell out, so you may wanna buy tix now. Death Cab for Cutie is playing the Austin Music Hall with Matt Costa and Ra Ra Riot. Brothers & Sisters are doing their feel-good brand of folk-y alt-country at Scoot Inn with JC & Co (Jason from Belaire and Voxtrot) and others. T-Bird & the Breaks (pic above) are throwing down neo-soul dance-friendy funkiness at Emo’s. The Red River Revolution II! The first one was late last fall, and it was already very chilly. With warmer weather upon us, the bonfire won’t be as essential as it was in the past, but will likely play a crucial role nevertheless in marshmallow-roasting endeavors. Featuring The Story Of, Sunset, Diagonals, and more, including DJ sets from members of the Black & White Years. Also going down: Ume at La Zona Rosa. 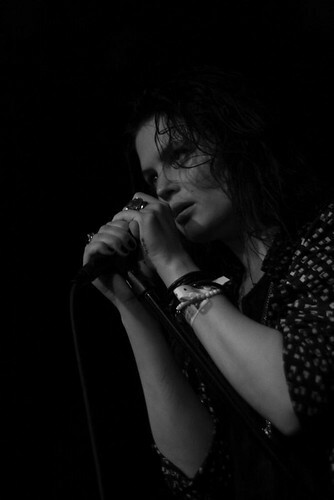 They’ve been making major waves with their post-punk grunge-y indie, along with lead singer Lauren’s powerhouse vocal stylings. 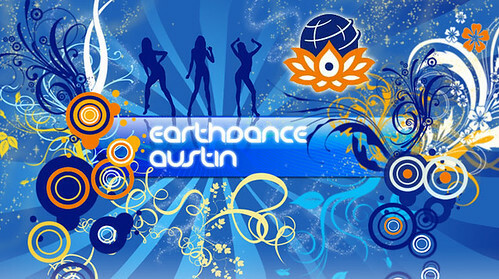 Taken from http://www.earthdanceaustin.org/: “EarthDance, the Global Dance & Cultural Festival for Peace has grown to become the world’s largest simultaneous music and dance event. Founded in 1997, with 22 cities and 18 countries participating, EarthDance events have occurred in over 400 cities in 75 countries, with locations ranging from the club-lands of New York to the rainforests of Brazil . Every year, in alignment with the International Day of Peace, over 250,000 people unite in dance with hundreds of thousands more joining online in support of global peace and humanitarian aims. EarthDance has been described by the music industry as the “Dance Aid” for the new millennium. “Think Global Act Local” is the aim of the event bringing together global communities to create a synchronized global festival and dance event to help fund humanitarian causes and develop an environment of peace throughout the World. The first annual EarthDance Austin is happening in September! The 3-day camping festival will run September 25th-27th, and EarthDance Austin 2009 will support the non-profit charitable organization, Lance Armstrong Foundation. Among many artists from around the world, Chillville friends and Austin locals Govinda are on the bill, along with an impressive lineup of acts that are sure to serve up lots of dance energy and a great festival experience. Guests can also enjoy the psychedelic sights and sounds of Austin’s Canartic which has joined the festival lineup, and new acts continue to be added. The fun will go down at Apache Pass in “Downtown Texas” where there are several acres of open areas and some forested spots in which to camp, play, dance, and sing. You’ll find artisans, workshops, concerts and events all weekend long on five stages and plenty of room to frolic or simply – chill. A limited number of pre-sale tickets are now available. More information at EarthDanceAustin.org, or you can check it out on MySpace. I have been a huge fan of The Dandy Warhols since they broke out on the scene in the mid ’90’s. They do a fantastic job of blending rock, psychedelic, electronic, and pop into one large sound. Last year the Portland based band released Earth to the Dandy Warhols through their own digital music service, and eventually released it on iTunes several months thereafter. Unfortunately, I was extremely disappointed in the album, and thought it was there weakest album to date. 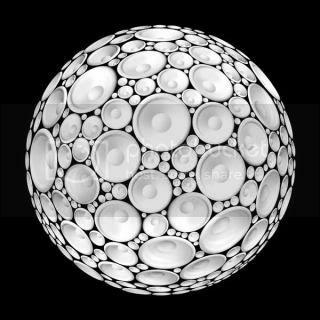 The good thing is that the Dandy’s recently released a remix EP on iTunes entitled Earth to the Remixes Vol. 2, and these tracks actually gave a new life to the songs I was initially uninterested in. I happen to find myself really liking these new renditions of the originals, especially today’s catch “Love Song” which was remixed by Fathead and Jeremy Sherrer. 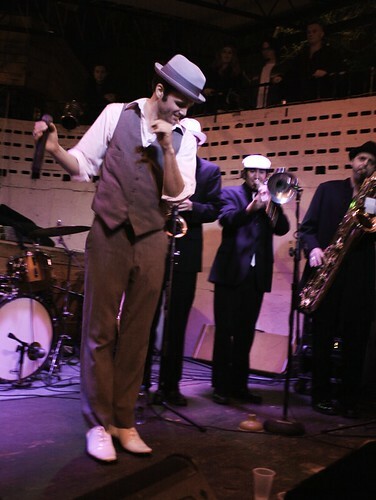 Any Dandy song that implements a human beat box is alright in my book. Listen to samples of the remix EP, and “Love Song” right here. Enjoy! 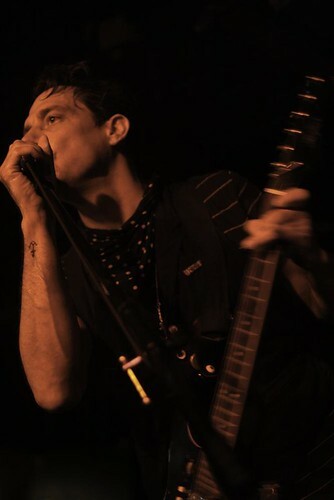 The Kills have a disquieting intensity to their music. It reflects into their videos – the gritty, unsettling, often violent cinematography of Last Day of Magic and Black Balloon exemplify – and, appropriately enough, carried into their live show on Friday. 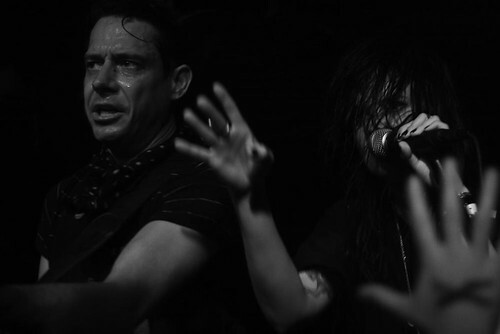 Alison Mosshart and Jamie Hince prowled the stage, pacing and circling each other like a cat and dog ready to fight. They leaned over a sea of grasping hands and sang into the crowd; Jamie aimed his guitar at Alison like a gun; they each snarled lyrics into the other’s face. Within the three-song encore, they included a cover of I Put A Spell On You… it was entirely appropriate. More at Mary’s Flickr photo set. You are currently browsing the archives for the RayBlog category.